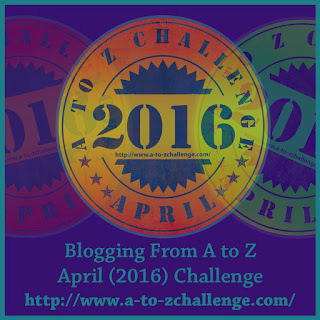 #AtoZChallenge - duel the liZard King! Ohmygosh Z! Here we are! For those who are here for the first time, this was an interactive fiction adventure. I wrote a scene every day in the month of April, and my visitors voted for where they wanted the story to go next, by leaving a comment on the post. You can start from the beginning here. "En guarde!" Sir Andrew shouted. He stole a quick glance around him and noted that the battle had completely halted. All eyes were on him and the Lizard King. He noted that Giraffe, Gorilla, and Horse all waited on the ground below. In the courtyard, a couple badly injured squirrels used the distraction to steal away while the dinosaurs' eyes were averted. The Lizard King slowly drew his sword, his eyes swiveling to take in the scene, just as Andy just had. The two serpents corralled the Queen back, giving Andy and his quarry just enough space to duel. The King struck first. His blade flashed toward Sir Andrew in a rather straightforward lunge, easily dodged. No sooner had he finished the first lunge, but he threw himself into another, trying to catch Sir Andrew off-guard. But the knight had expected as much and parried in an almost poetic manner. Sir Andrew decided it was time to make his own go of it. He executed a perfect swoop upward with his blade, but unfortunately the King blocked it with his own steel, and smashed Andy's hand against the rampart. The top brick, against which he was pinned, teetered, but did not quite fall off. Andy stomped on one of the King's long claws, which caused him to hop comically on one foot. Sir Andrew took the opportunity and lashed out with his rope! He lassoed the King's sword hand and jerked it, causing the sword to fly off into the courtyard. The crowd below gasped as the sword landed, point-down, with a clang. It narrowly missed the Brontosaurus's tail, though Sir Andrew did not have the attention to spare to notice. Because the King had, almost immediately, pulled back on the rope and jerked Sir Andrew toward him. He caught Sir Andrew in his other hand and was attempting to wrench the knight's sword from his grasp when he suddenly HOWLED in pain. He released Andy and looked down to see that the Queen had got loose and chomped into his leg. She was tearing into it viciously. Sir Andrew seized his chance! He leapt out, and swung around the Lizard's body, using the same mechanics he'd learned while swinging from balconies earlier. He wrapped the rope around the distracted and bleeding King. The Queen had brought the giant lizard to his knees, and Andy finished the job of tethering him. A great cheer went up from the mammalian crowd. The lizard army made a variety of hissing, rumbling, and roaring sounds of disapproval, but did not move to assist their King. He was well and truly trussed, and had lost the fight. Just then, a voice rumbled through the sky - "Annndddyyyyy .. time for dinnner..!" and Andy knew his time in the battle had come to a close. He assisted the Queen in climbing onto the staircase that led down Giraffe's neck and sighed in relief as she stepped regally down into Gorilla's hands. Sir Andrew followed her toward his army, and was startled to notice that his stomach rumbled just as he stepped next to Gorilla. "That was some fine work, Sir!" Gorilla rumbled, "You could have taken a little longer though. Things were just getting interesting out here!" "You'll have to tell me all about it sometime, my friend. For now, I must answer the call of the gods, and find myself some dinner." Sir Andrew bowed to his Queen, who nodded her thanks to him. He removed his cape, and was instantly transported back to the land of Bedroom. Andy's mom was waiting in the doorway, with a raised eyebrow and an amused grin. "Tough day?" "Oh, you know, just playing!" Andy said. "What's for dinner?" Thanks for reading along, everyone! I hope you enjoyed the adventure as much as I enjoyed writing it for you :) Happy Z Day! Now go get some rest! If you enjoyed the story this month, and haven't already, I encourage you to sign up for my email list! 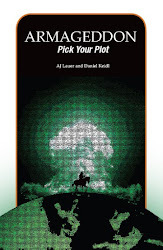 New subscribers get a FREE copy of a choose-your-own-adventure style ebook novella called Percy's Armageddon: Pick Your Plot Prequel. I promise not to email too frequently, and to send out fun stuff once in a while! Only two more posts! Happy, sad, happy, sad. Sorry for the super-late post - should have written before work. But, I won't count votes till noon tomorrow, to give folks a chance to get here. Anyway, lessee what happens at Yonder wall, shall we? "Squirrel, I need you to scamper over to the rampart, just like you did to get here. Tell Gorilla to meet us on the other side of the wall. Go!" Squirrel gave another full-body salute and disappeared down the exterior of the castle. "My Queen," Sir Andrew said, "do you trust me?" "A Queen must be careful who she trusts, Sir Andrew. But if trusting you ensures my release from the grasp of these villains, then yes. For this task, I trust you." Thankfully, the Queen was very small. And so Sir Andrew was able to tuck her just inside his shirt, with her tiny head peeking out from his collar. He unfurled his trusty rope and snagged the railing of the next balcony over. With a "whoop!" he lept out of the Queen's window. They flung themselves along the castle wall. The railing held as a mostly-steady fulcrum, cracking only a bit just as they reached the rampart. Andy felt a thrill as his cape flowed out behind him. He landed soundly on the rampart, and with a smart crack of his wrist, rescued his whip from the railing. "I think, Sir Andrew, I should leave the flying to the birds. Please let me out!" the Queen said. Her voice was, in an imperial way, much larger than her small body, and Sir Andrew knew he must obey. Sir Andrew placed the Queen on the cobbles and said, "My Queen, you are not safe yet. We must find Gorilla and return you to your mammal subjects." Andy was shocked as the Queen suddenly looked behind him and barked furiously. Her terror sounded in her yips, which were not nearly so imperious as her earlier order to Andy. Sir Andrew looked back, and immediately swooped the Queen back into his arms. Who should be there, but none other than the Lizard King! Dressed in full armor, Andy could see the Lizard King keeping one eye on the Queen, and another down to the outside of the wall. "Your Gorilla awaits, human boy. But I'm afraid the Queen will remain with me." "No! I've come this far! I will rescue my Queen!" "Well then, shall we have... a duel? The winner keeps his life, and the Queen." The Lizard King shifted proudly, revealing the sword at his side. Sir Andrew set the Queen gently down next to him. She gave him an approving nod, and Sir Andrew looked at the Lizard and shouted, "En guarde!" Tune in tomorrow for our closing chapter - the duel with the LiZard King! No voting today. You all deserve a rest for making it this far :) What do you think will happen during the duel? How was your A-Z? 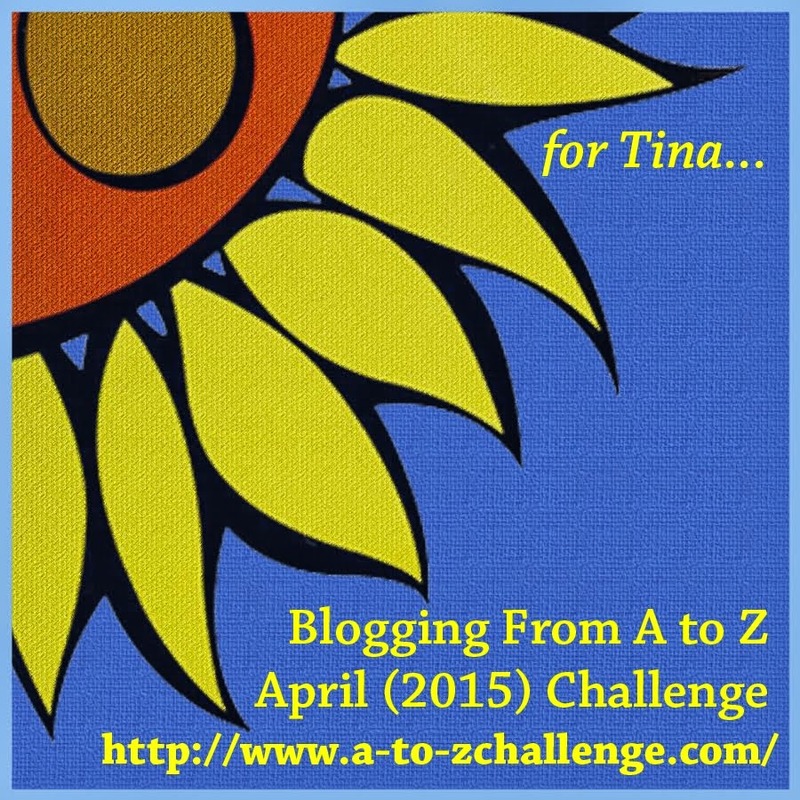 #AtoZChallenge - run eXtra fast! Ouch. Only one vote last night. Getting close to the end of the Challenge :) Comments always peter out a bit at this point. Still, three more bits of story, so let's see what happens! Sir Andrew ducked against the wall just outside the door to the Turtle's quarters. "Squirrel, I need you to be a distraction for me. Run over to the corner by the vegetables, and make Turtle look at you. Join me after I get through the door on the other side. Got it?" The Squirrel gave a squeak of consent. He gave a full-body salute that included his bushy tail, and darted off into the room. Within moments Andy heard the Turtle rumble as Squirrel caught his attention, and took that as his cue to dart into the room. The Queen (right) and friends. Sir Andrew ran as fast as he could, along the left side of the room and over to the tapestried wall. Just as he'd thought, there was a door hidden behind a slit in the artwork. The sound of the Squirrel's distracting chattering disappeared as Andy made it through, and found himself in a room even more beautifully decorated than the first. Gold leafing adorned the ceiling and the sill around the window. The floor was covered in rich pillows, and pacing in front of the window was none other than Queen Eileen. Sir Andrew dropped to his knee, splaying his cape out behind him in what he hoped was a sufficiently knightly manner. He bowed and said, "My Queen." Queen Eileen turned to Andrew, her blue sapphire collar glinting in the sunlight. She walked toward him and said, "Stand, Sir Andrew. We must get me out of here. The carnage of the battle is terrible." Andrew stood and went to the window to look. The T-Rex was still tossing over any small creatures that attempted to get past, and he could see that the reptiles were now employing the Giraffe's tactic of allowing smaller creatures to run up the Brontosaurus's long neck to reach the rampart. Small furred creatures littered the courtyard and were being dragged away by the smallest denizens of the castle. Just then Squirrel ran in and said, "The Turtle - he can fit through this door! We must go now!" "What is your plan for escape, Sir Andrew?" "We will send the Squirrel out to let Gorilla know to wait for us, and then..."
Make a beeline for Yonder wall. or Get You down to the courtYard and escape out a side door. Finally got the Queen! What will you do to get her out of the castle, friends? It's all about the 50/50 splits these days! The Tiebreaker is getting quite a workout this year. Sir Andrew held his breath and stood as still as possible as he waited for the gravel-voiced reptile to leave the room. He had barely begun to exhale in relief when he felt a tug and a scamper on his cloak. He gasped in surprise to see a Squirrel suddenly standing on his shoulder. "Message from Queen said Turtle." Andy's eyes went wide. "Oh, Gorilla, THANK YOU! Come with me, Squirrel! I know where she is!!" Squirrel poked his head out the door and made a tiny-handed gesture to tell Sir Andrew the coast was clear. Andy scooped up his little helper and carried him up the stairs, past the King's antechamber (he was amused to note that the pink clothes hamper had been left laying on its side after disgorging its contents), and back to the Turtle's room. How should Andy approach the room? eXpress his dismay at Turtle's betrayal, and wheedle his way to the Queen. or run eXtra fast through the room straight to what must be a doorway hidden by the tapestry. We're almost there! We've almost found her! #AtoZChallenge - Veer toward the Turkey! Sir Andrew veered left out of the Turtle's room, headed toward the Turkey who now appeared to be brazenly taking a nap on the balcony. Suddenly, he heard a hissing noise and around the corner in front of him came the two snakes he'd dealt with earlier in the day. "THERE HE ISSSSSS...," one shout-hissed. Sir Andrew bolted out onto the balcony next to the sleeping Turkey and ever so quickly and quietly tied his rope to the balcony railing and scampered down the side of the castle. He climbed into the window just below the Turkey's balcony and with a smart whip of his wrist, released the rope from the railing. He pushed a chair in front of a curtain, and then dashed behind the hanging just as some sort of reptile with a gruff voice walked in - "Where is he? He can't have gotten far...!" What should our brave hero do? Wait here - it's a good hiding spot! As soon as the coast is clear, Wander to another part of the castle. Can you believe it's the last week of the Challenge?? I can't! We need to find this Queen, people! Where is she?! "Turtle, can you tell me more about the Battle of the Sandbox?" Andy said, sitting on the floor next to the giant creature. "Ahh.. That is ancient history, my boy. But it went much like all battles must. A great harm done, in a great place. To undo the wrongdoing, one side declared war. Many died. There were treacheries. A hero emerged - I carried him on my back, for a stretch. We thought we'd lost him, but he returned to us, with the great prize recaptured, and then there was peace. ..for a time." "For a time?" Sir Andrew said, fidgeting in his spot. "There are always more battles, child. Go find your Queen. End this fight as soon as you can, lest you lose someone you love." Andy stood up, picked up his coil of rope and readjusted his cape. "Thank you, Turtle." Before he left, Sir Andrew took one last look around the room inhabited by the ancient giant. Thick draperies covered one wall, and he just noticed a giant stack of vegetables in one corner, with shredded bits of refuse scattered on the surrounding floor. Venture back the way he came - perhaps the Queen really was near the King's chamber? Veer left toward that Turkey! or Explore that Vegetable corner.